A new bill (A3676/S2307) was introduced in early March concerning tax incentives designed to create a “Garden State Growth Zone (GSGZ)” at Atlantic City Airport. The bill is inresponse to former Gov. Chris Christie’s decision to veto a previous bill (Press of Atlantic City). This revised bill, sponsored by our local State Assemblymen Mazzeo and Armato, is a critical piece of legislation vital to the aviation-related development efforts at the Airport. 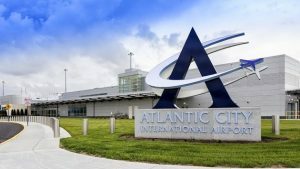 The bill would create tax incentives for business interested in locating and building within one mile of the airport and will help Atlantic County enhance its unique aviation and technology industries. The Greater Atlantic City Chamber, through our Economic Development and Advocacy Committees, has been committed to this effort for over three years. We are now planning to work more closely with the governor’s office, senate and assembly leaders, and the Atlantic County Economic Alliance to have the legislation enacted. The Greater Atlantic City Chamber will host a rally to promote development at the Atlantic City International Airport including the proposed technology park, cargo hub, and aviation training center. It is essential for our legislators and the public have a firm understanding of the work done by the FAA Tech Center and the impact it has in our area. Stay tuned for more information on this effort.